The Honest Company, co-founded by American actress Jessica Alba, is a consumer goods company that focuses on supplying homes with non-toxic household products. Their products, which include everything a parent might need to care for their baby, are sold in retailer such as Whole Foods, Costco, Target, and Nordstrom. With Big Apple Buddy’s personal shopping service, you can now buy direct from the Honest Company online store anytime, anywhere. Trusted by parents everywhere to keep babies happy and healthy, the Honest Company offers more than just diapers and childcare supplies. The Honest Company sells non-GMO vitamins and supplements for everyone in the family, carrying everything from Baby DHA to Whole-Food Based Prenatal vitamins. The gentle formulations are perfect for keeping your loved ones healthy, with highly bioavailable nutrients, easy-to-swallow coatings, and fun gummy alternatives. 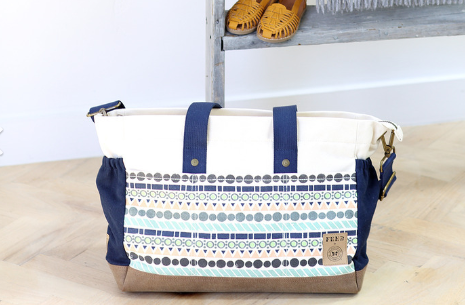 Tote around your Honest Company products in this fashionable and comfortable Canvas Tote Diaper Bag. The interior features 3 large products and is made of waterproof material, in the case of those inevitable spills. Not only is this bag stylish and practical, but proceeds from each purchase will go towards providing vital micronutrients to mothers and children to ensure healthy fetal and infant development. Unfortunately, the USA Honest Company online store does not currently offer international shipping. However, Big Apple Buddy, your personal shopper, can help you buy products direct from the official USA Honest Company online store and ship them to your doorstep, no matter where you are in the world. If you would like to buy from the USA Honest Company online store, simply let us know which items you would like to order (by filling out the form below) and we’ll get back to you with a free international shipping quote within 24 hours!